Art Nouveau in Glasgow, known as Glasgow Style, is the paradigm of the meaning of class that this new style adopted in the context of a major industrial metropolis. Glasgow in the 1890s was a financially rich city but one that had many social problems. The rapid industrialisation process that it experienced in the second half of the 19th century contributed to serious urban degradation in the city. Pollution, ethnic violence, working class struggles, numerous slums - such as the Gorbals, considered to be the worst in Europe - prostitution and alcoholism were just some of the issues that the moneyed classes wanted to address through the creation of a cultural atmosphere that would highlight and give meaning to people's lives. 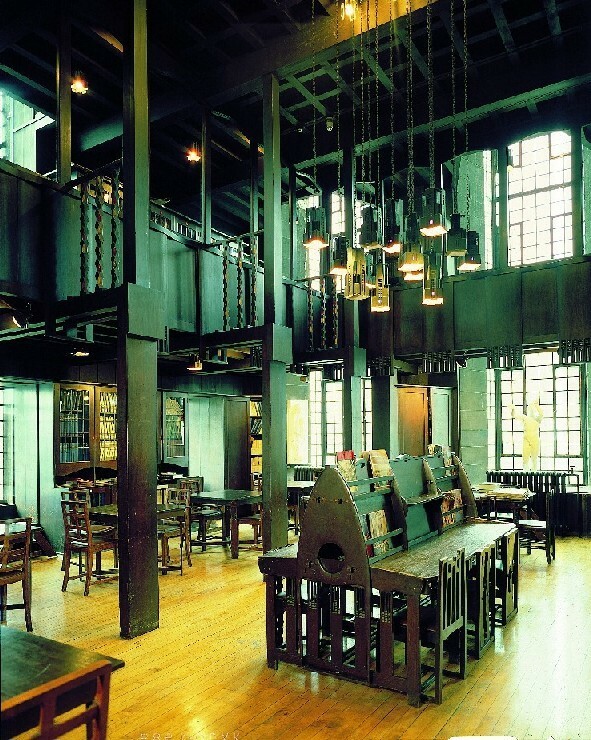 From the Glasgow School of Art, influenced by the Arts and Crafts Movement, emerged the group of designers known as The Four - Charles Rennie Mackintosh, Margaret and Frances Macdonald and Herbert MacNair - and the group of painters known as the Glasgow Boys and Glasgow Girls, who became high society's cultural driving force, keen to invest in artistic works in a city that did not have any solid cultural or architectural traditions. But Glasgow Style was more renowned in Europe than on the British Isles, especially in Germany and Austria, thanks to the work of Francis Newbery, art school director from 1885, and the dissemination of The Four's work, especially that of Mackintosh, in the magazines The Studio and Dekorative Kunst. Those who financed the work of the artists in the city were local entrepreneurs. 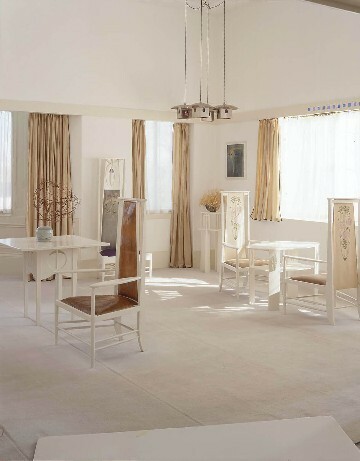 For example, the businessman William Davidson, who commissioned Mackintosh to design his house, Windyhill, in Kilmalcolm, or the publisher Walter Blackie, who entrusted him with The Hill House, and the flamboyant owner of a series of tea rooms Katherine Cranston, who commissioned work from Mackintosh between 1896 and 1916. The building that best defines Glasgow Style, and one that has become part of the history of European architecture is the Glasgow School of Art itself. 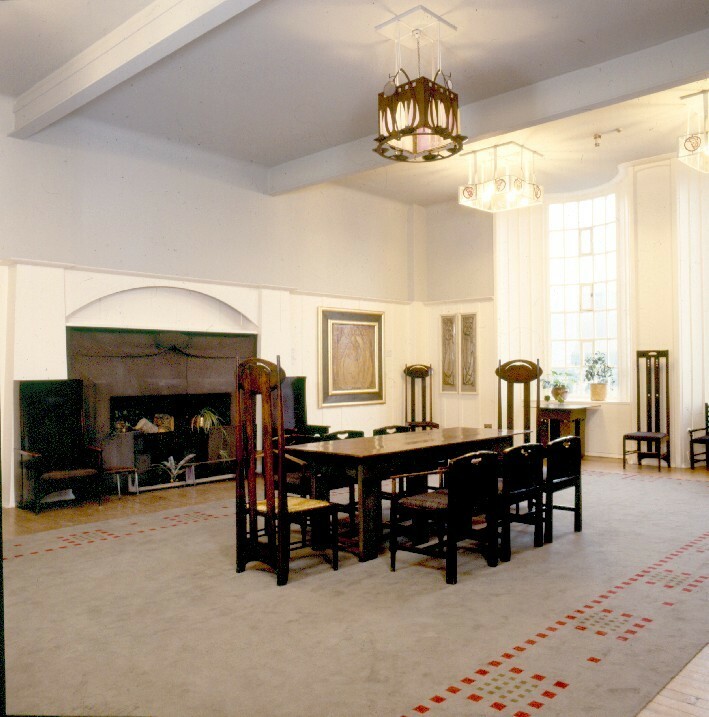 Mackintosh's original project, which was divided into two construction stages, planned to provide the school with more of an artistic rather than technical look. He therefore gave priority to studies rather than workshops, the complete decoration of interior spaces and the use of new forms when treating volumes. 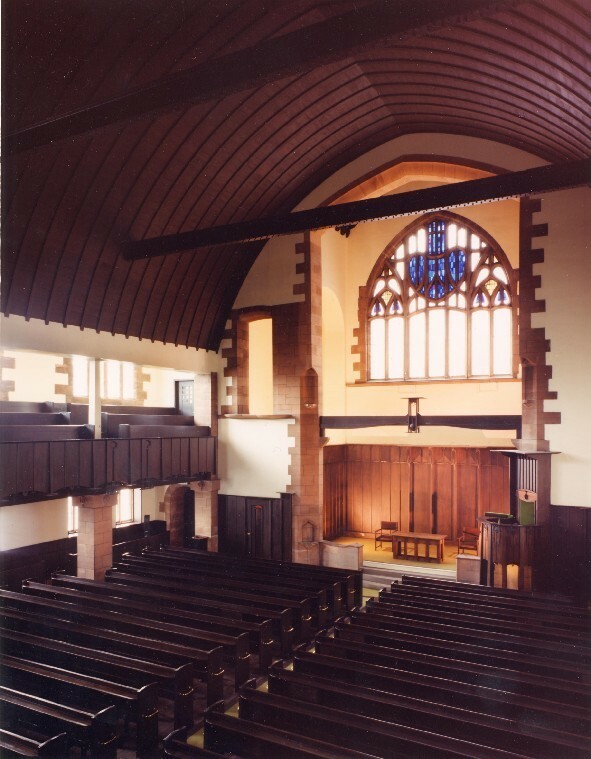 The interior design work by The Four - the Macdonald sisters and artists of the Glasgow School, such as George Walton, Ann Macbeth and Jessie King - introduced Japanese forms and designs to the rest of Europe, as well as the figures of the Pre-Raphaelites, and a stylised, restrained, linear taste to decorative art.